ALL WHAT YOU NEED! 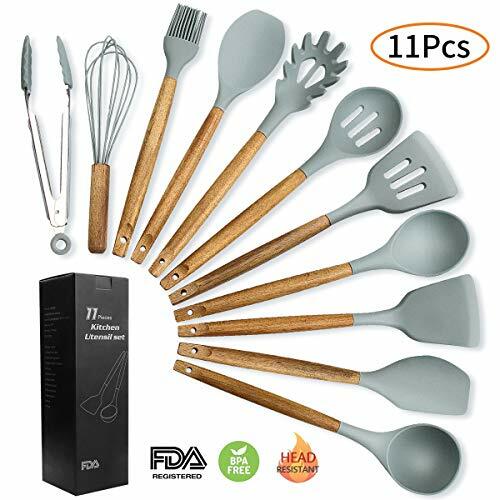 Our 13 piece set includesSpatula, Serving Spoon, Spaghetti Server, Soup Ladle, Dessert Ladle, Skimmer, 8″ chef, 8″ bread, 8″ carving, 5″ utility, & 3½” paring knives for food prep and serving. Plus 6 – 4½” steak knives, and 8″ kitchen scissors, 8″ sharpener and an acrylic block stand. 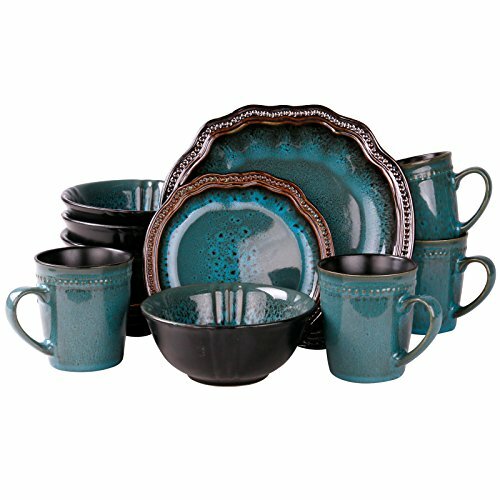 It is a beautiful kitchen collection. A favorite baking and cookware utensil for every chef. HIGH QUALITY! Our knives and utensils are made to meet the demands of the pros. It is premium stainless steel, a metal that will never tarnish, rust or corrode. All blades are made with strong heavy duty restaurant grade # 430 stainless steel. 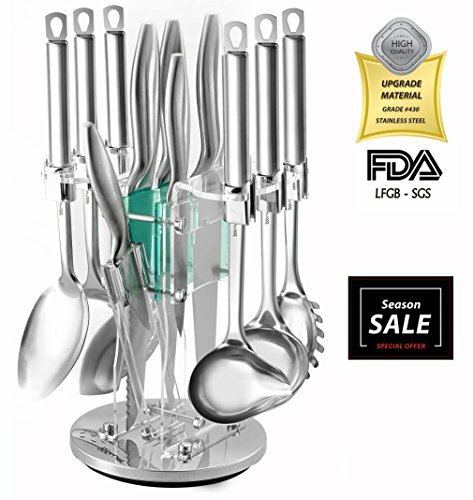 Our knife sets comply with certification from FDA, – LFGB, – SGS for the home and commercial use. EASY TO HANDLE & MAINTAIN! Our super classic lightweight knives with its tapered handles fit perfectly in your hand to maximize control and ensure comfort when you’re cutting, slicing, mincing and chopping vegetables and fruit. 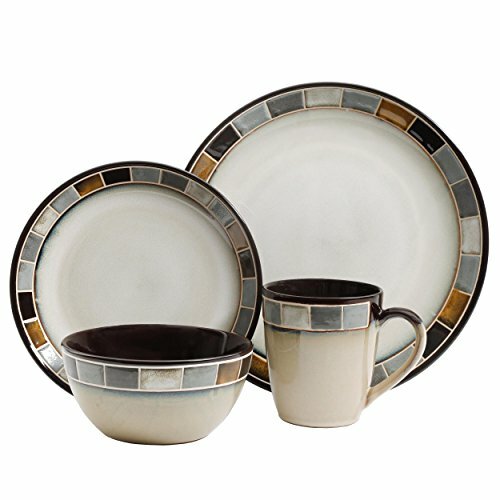 Geared for any food type including meat, sushi, butter, salad dish & cakes etc. – These knives and handles are a solid one piece design. Never worry that the knife will come apart, crack or break while use like plastic, glassware, wooden, and ceramic knifes. YOUR BENEFITS! Including with our set you get a sleek sharpener for protecting your knifes and keeping them razor sharp use after use! 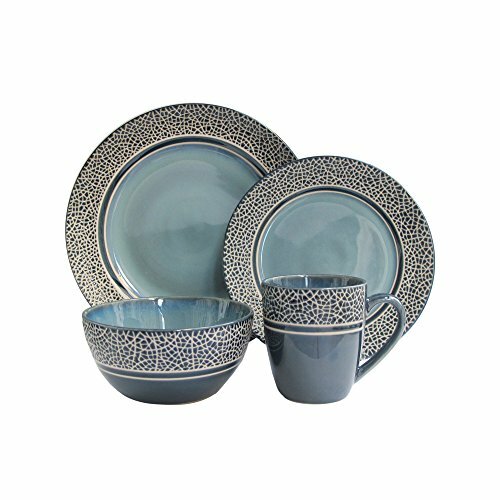 We are so sure you will be perfectly happy with this set, that we will do anything to make you satisfied. Do not use dishwasher!! A super buy! 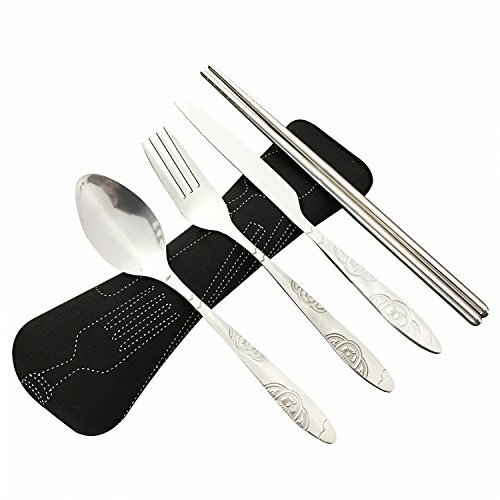 Great price for a large number of high quality utensils and knives!